The decision to sell your business is monumental. We understand that selling your business will be one of the most important transactions in your career as a business owner. You have devoted time, money and energy into the operations and growth of your business. In many instances it represents your life’s work. 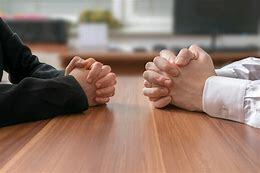 If you have decided that now is the right time to sell and you are searching for and want the very best professional guidance you can receive. Working with TNbusinessbrokers (TNbb) can make the difference between just getting rid of your business or selling it for the very best market price and terms. Using us to sell your business ensures that a professional broker will be handling your transaction under strict confidentially. We discreetly market sellers and connect them with qualified buyers. We sell businesses with a stringent code of ethics. Business Evaluation: Determine the best selling price in today’s market. Marketing Package: Confidentially market your business to qualified buyers. Advertise: Utilizing several businesses for sale web sites. Network: In association with our local, regional and national brokers and through our BBTC broker’s network. Data Base: Present your business to potential buyers in our local data base of over 400 qualified buyers and our BBTC affiliate data base of thousands of qualified buyers. Negotiation: Take charge of the process to get you the very best pr ice for your business on terms approved by you. Due Diligence: Assist you through the sale. Closing: Work closely to expedite a timely closing. 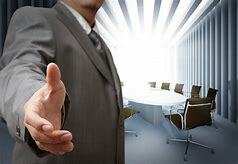 Hand Shake: To thank you for the opportunity to assist you in selling your business. Offer referral fees for any referral listed and sold. Our entire foundation is developed on selling businesses without customers, employees and suppliers’ finding out that the business is for sale. This way the business can be listed and sold without repercussions to the business owner.